150% enhanced bonus on first deposit up to &dollar;150. Vegas2Web Casino is a thoroughly modern casino that has really embraced the current trend of multi-platform gambling. One of the most versatile online casinos for US-based gamers, they offer downloadable, instant play, and mobile casino clients. The casino site is mobile-responsive, so it automatically adjusts to your browser, and it's very simple to navigate, with all relevant sections easy accessible via a menu across the top of the screen. A nice feature is that you can sort the games library by category or in alphabetic order, or just use the Search box to find what you want. There's a sense of the iconic Las Vegas theme throughout the site, even down to its logo, which is a parody of the famous Welcome sign. Vegas2Web offers Rival software games, which include their flagship i-Slots - interactive games that allow players to develop their own storyline by spinning different combinations of reels, or by taking part in an adventure to advance the game. Since Rival pulled out of the US market, only a handful of US casinos offer their fantastic games. Happily, Vegas2Web is one of the few who stil do! Vegas2Web is available as both Download and Instant Play. Unusually, the two lobbies are identical and both clients offer exactly the same games. Normally, there's a trade-off of speed against choice, but not so here. Our preference would be for the instant play casino, which is much faster, and just as easy to use. All of their games can be played in free play mode, if you wish to practice and hone your skills before wagering real money on them. A nice feature of the Play for Fun casino is that you can set your own bankroll, giving you as much free time as you'd like! As far as the mobile client is concerned, Vegas2Web has made a great start, and currently offers almost 50 of its most popular casino games in HD for mobile play and will soon be adding even more games. Plus &dollar;30 extra spins bonus on deposits >&dollar;50. Vegas2Web is pretty hot when it comes to offering bonuses, if a little out of the ordinary! Deposit bonuses come with unusual % matches and maximum bonus amounts - not for them a 100% up to &dollar;100, they prefer a 30% up to &dollar;225. Odd, but it keeps you interested! The first bonus you can claim is an enhanced version of their regular sign-up bonus which we've managed to secure for Fortune Palace players. You can get a 150% on any deposit up to &dollar;100, giving you a maximum bonus of &dollar;150 - the standard sign-up is just 100%, so the extra is a nice incentive. As part of the enhancement, if you choose to make an initial deposit of more than &dollar;50, Vegas2Web will also throw in a &dollar;30 extra spins bonus. Following your initial deposit bonus, Vegas2Web will match your next two deposits with a 30% and 50% bonus, up to a maximum of &dollar;225 and &dollar;105 respectively. We told you they were odd! In addition, Slots fans can gain a Weekly Slots bonus of &dollar;10 every week, providing they deposit at least &dollar;100 per week. Vegas2Web has put a lot of effort into working within the legal framework of the USA, whilst still allowing US players to deposit, play and withdraw. Players can choose to deposit, withdraw and play in US Dollars, UK Pounds Sterling, or Euros. Having said that, the only deposit options open to players based in the United States are VISA and Master Card. Your card must be registered before transactions can be completed, but all transactions are free of charge and you can instantly access your funds. Withdrawals can only be completed with wire transfers. This withdrawal method can see transactions take between 5 and 15 working days to arrive in your account. That is a fairly long time to wait for your winnings. Players are also charged a fee for withdrawing via wire transfers. Naturally, European players have more options open to them when depositing and withdrawing, but Vegas2Web Casino should be given credit for giving options to US players. Read more about Vegas2Web banking here. This is one area where Vegas2Web falls down a little. There's no licensing information available on the website and no company registration details. From our research, it seems that Vegas2Web is an operating name for Black Chip Limited, which lists its address as Nicosia. As such, it falls under the jurisdiction of Cyprus, which is an approved licensee on the UK Gambling Commission's 'whitelist'. In other words, it's above board. A Google search for 'Vegas2Web' may well show up some historical reports from customers who were having payout issues. In some cases, the reporting websites even recommend staying away from Vegas2Web. However, these seem to relate to payment processor issues that occurred when Rival stopped dealing with US players. As the only Rival powered casino still accepting US players, all these problems fell on to Vegas2Web's shoulders. The situation now seems to have been sorted and a search for outstanding issues now shows that they're all being resolved in a timely fashion. Responsible Gaming is a priority at Vegas2Web Casino, and they offer two self-regulations for you if you wish to take time away from playing. You can ask for a 7 day cooling off period, or a 6 months self-exclusion. Not all casinos feature this, so this helps Vegas2Web Casino stand out. Vegas2Web uses 128-bit SSL (Secure Socket Layer) digital encryption to protect the details of your electronic transactions over the Internet. 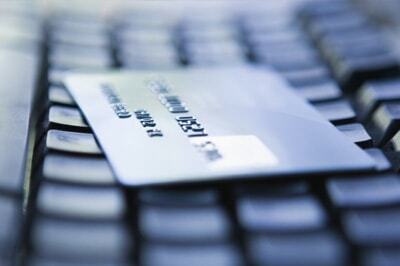 This is the Internet security standard for online transactions as demanded by major financial institutions. If you are uncomfortable including your credit card or banking details in any e-mail correspondence, you always have the option to telephone your details through to Vegas2Web's customer service agents on their toll free line. As an extra assurance, the Rival software games have been tested on numerous occasions by independent auditors and have always proven to be genuinely random. Customer support is one area that Black Diamond have well covered. Telephone support is available worldwide, with dedicated lines for each country, all of which are free to use. They offer email support and Live Chat is available 24/7 - either through the website (Liveperson) or via the in-game host which is always available when you're playing. Vegas2Web Casino is one of the smaller online casinos available to players based in the USA. The casino’s games selection is, however, one of the largest. Providing you with the ability to play what you want, when you want, Vegas2Web deserves to be seen as a much bigger player in the industrty. Vegas2Web’s most distinguishing feature is its sizeable selection of bonus offers, and that alone may be enough to lure you in. They are fully US-friendly, but they aren’t likely to win over too many fans with their single withdrawal option - this is an area where they could do better. Similarly, we'd like to see more transparency in terms of their licensing. In a nutshell, Vegas2Web Casino isn't perfect, but as one of only a handful of US-facing casino that still offer Rival games, and do that in a modern, well designed, mobile-friendly environment, they deserve to go from strength to strength.